DP cars are pure, mid-engine, carbon fiber, race cars powered by various engines, including Porsche, Ford, BMW, Chevrolet, Lexus, Mazda, etc. GT class cars are tube frame race cars with body panels that make them resemble their production car counterparts. 1. 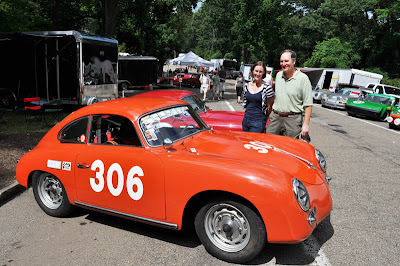 2011 will mark the 50th anniversary of endurance racing at Daytona. To celebrate the occasion, race organizers have made an effort to locate and display all previous winning cars. That alone will be worth the price of admission. 2. Florida weather is typically nicer than Indiana weather in January. 3. The 24 hour race does not draw huge crowds so motels, restaurants, and tickets are readily available and reasonably priced. 4. 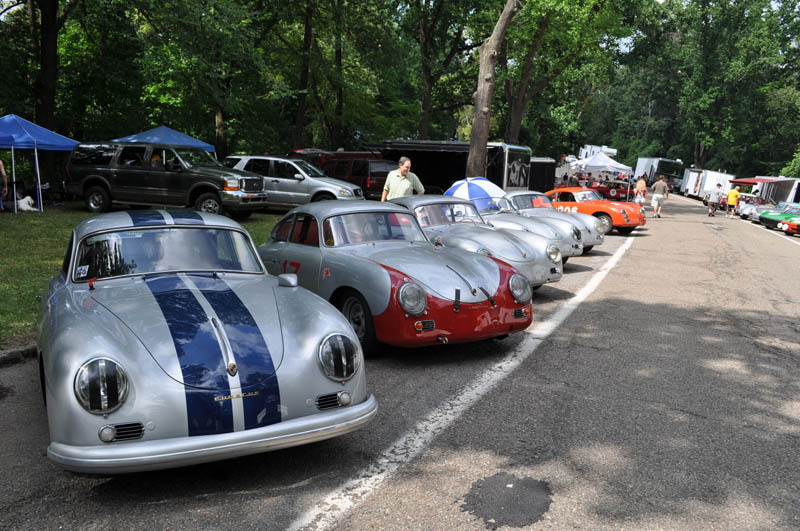 A Porsche corral where Porschephiles can park and congregate is a tradition at the Rolex. If your automotive interests extend beyond Porsches, you will also find corrals for other brands. 5. Porsche powered cars do well at the Daytona endurance race. In fact, Porsche has been the overall winner 22 times. Porsche won the race 11 consecutive times from 1977 to 1987. Porsche also won the race 18 out of 23 years from 1968 to 1991. 6. If you cannot afford a new Porsche or attend the Porsche driving school, this might be your last chance to watch Hurley Haywood in action. Hurley has driven a Brumos Porsche to victory 5 times at Daytona. He also won LeMans 3 times, Sebring twice, and was the fastest rookie at the Indy 500 in 1980. 7. The race teams are very professional and well funded. Usually, 60 or more cars start the race and most have the people, spare parts, and organization required to still be running at the end. 8. The DP class will be a little more interesting this year as it will be the first outing for several well-funded Corvette cars. The Corvette cars will have some recognizable Corvette styling features and engines prepared by Earnhardt/Childress. 9. Each car has 4 or 5 drivers, many of them are very recognizable, top professionals. 10. You don't have to stay in a certain seat for the entire 24 hours. You can come and go and generally move around and watch the race from many different vantage points. 11. For those who wish to stay at the track for everything, camping inside and outside the track, plus motor home and RV parking is available. Eldon Slick has entered his 1986 Carrera powerd by a 1995 3.6 Porsche engine in the Big Bend Open Road Race near Stockton, Texas http://www.bborr.com/ April 25th - 28th, 2012. Photo of Slick's car is attached. Sunday morning breakfast - Sunday, April 17, at 8:00 a.m. - Panera Bread Company, College Mall Road at E. Third Street, Bloomington - Hope you can make it! Departing from Jiffy Treet parking lot (behind Taco Bell on E. Third St. in Bloomington) at 10:00 am on Sunday, October 17th. Drive together to Scenic View restaurant for brunch overlooking Lake Monroe. Cruise together on a route to be determined. 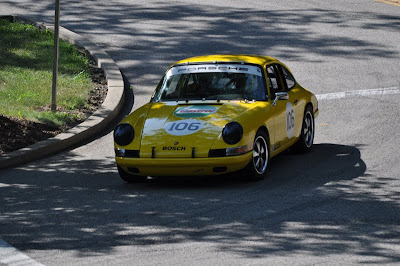 Short Porsche racing video and a few photos from the Pittsburgh Vintage Grand Prix last weekend. Shot by Bruce Loos. Come join Bruce & Marlene, Tryna and me for the Pittsburgh Vintage Grand Prix. 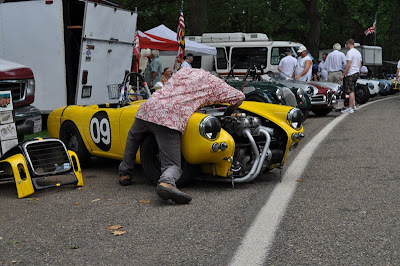 Check it out at www.pvgp.org/. We are staying July 23, 24, 25, 2010 at the Courtyard Pittsburgh Shadyside, 5308 Liberty Avenue, Pittsburgh, PA 15224, Phone: 412-683-3113.